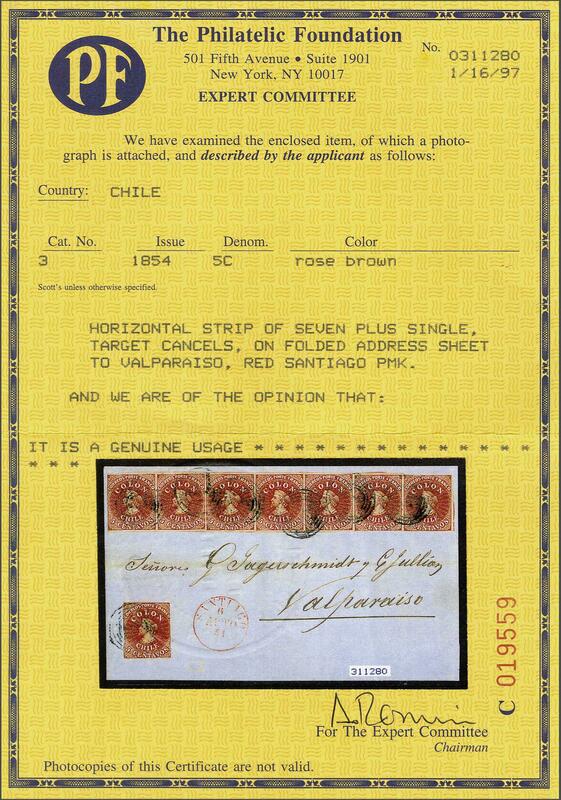 Recess by Narciso Desmadryl from Perkins Bacon Plates 1854 (Jan-Feb): 5 c. deep reddish-brown, a horizontal strip of seven and a single example used on 1854 cover at 40 centavos rate for 2 ounces from Santiago to Valparaiso, the strip in a fresh vibrant shade with mostly large margins on all sides and showing portions of adjoining stamp at top and at right, the single example without margins; all tied by target handstamps in black with SANTIAGO despatch cds in red below (Aug 6). 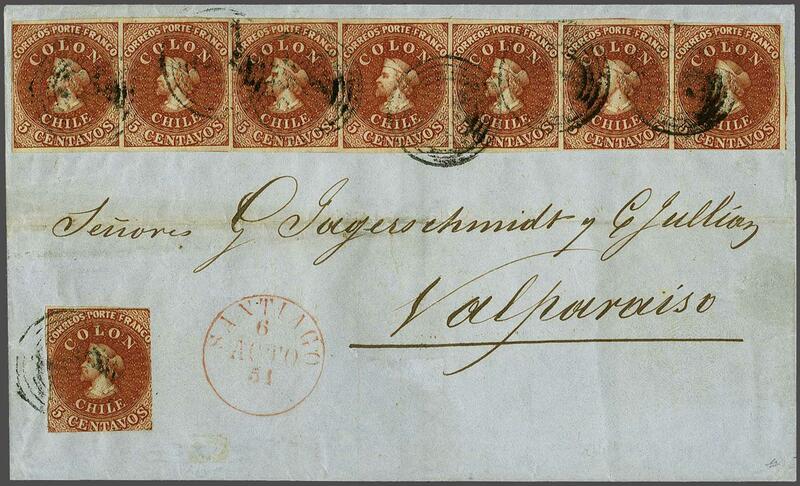 An exceptional and rare franking: one of the largest multiples of the first Desmadryl 5 centavos either off or on cover. Cert. Philatelic Foundation (1997).rnProvenance: Collection Jean Dupont, Balasse, May 1981, lot 368; Collection 'Islander', Corinphila sale 95, Dec 1996, lot 826.